Mine arrived today just under 2 weeks of placing the order. Very impressive looking kit, doesn’t look cheap. Installed and working but not sure how to use the device handler to display battery status. Any help appreciated. Are these the same ones everyone is talking about - the Orvibo ones ? Yes, they are the same. The Amazon ones are shipped from China too, so buying from Banggood is slightly cheaper. Just to throw my two pence worth in. Agree with all comments. Have a couple of contact sensors shipped from Banggood in China and the range is definitely less that the ST ones (though I also read that they can re-establish a Zigbee mesh link with a ST SmartPlug but only if they first lose contact with the hub? I’ll try that sometime ). Very useful to have the green feedback flash though ! Thanks @a4refillpad for his code development and to everyone who documented their experiences here. I’ll keep the Orvibos for doors near the Hub and go further afield with the two ST multipurpose devices I have. Whenever you add a new repeating device to your zig been network, your other devices except for the hub won’t know that it’s there until they rebuild their own neighbor tables. So they won’t initially use its repeating capabilities. Fortunately, that’s very easy to do with zigbee. Just take the smart things hub completely off power (including removing batteries if it has them) and leave it off for at least 15 minutes. During this time leave all the others zigbee devices powered on. This will cause the end devices to go into “panic mode” as they realize that the Coordinator is not available. Then when you power the hub on again, as each individual device reconnects it will rebuild its own neighbor tables fresh. This whole process can take a while, so you may not see an improvement until the next day. But it should cause your network to then route efficiently using all the available repeating devices. Hi @JDRoberts. Thanks. That is very helpful to understand the precise process. I tried having the Orvibo switch out of range from the main Hub but close to a ST smartswitch but it did not seem to add any range benefit. Now I understand why. I will try your method tomorrow. I’ve not had to go through that palaver. I’ve simply added new repeaters (usually the UK outlet) and within 10 minutes or so the network seems to re-meshed and found the new routes. Is someone able to confirm what Orvibo products are working on ST? RGB Relay: Link @a4refillpad did you get this working? Relay: Link Has anyone played with one of these yet? 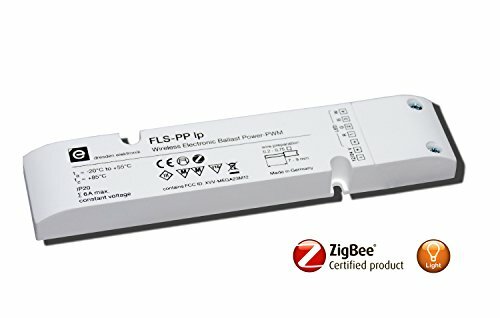 Would be useful for lighting, curtains, etc if it works in the same way as the Fibaro relays? Rgbw relay - haven’t had the time to play any further with colours but very stable and working fine otherwise. Just no reds for now until I figure out the root cause. Red is not a colour I use much in the kitchen so not a show stopper for me. I have both in the house. The dresden is more fiddly to install and a little unsightly if you cannot hide it from view. However it works perfectly well with hue or direct. Biggest reason is the orvibo is half the price as you state. Sold (like I needed the nudge). Thx. Having just received some Orvibo door/window sensors (SM10ZW) from banggood, I seem to be unable to get them working on my ST hub (which is a V1 US hub, but used in europe with Zigbee devices only) . The hub sees them, calls them “Thing”, but I am unable to get any good data out of it. When configured as Orvibo Contact Sensor (from the github code), it will report that line as heartbeat and it will deduct battery information out of it (100% in my case). But I see no ‘real time’ open/close messages. Is it my hub, or is it a new version that is incompatible? If the latter, can anyone point me to how to debug this? Does the green LED ‘ring’ flash as you move the magnet to and from the sensor? Yes (was just about to add that info). And have tried deleting/adding several times. No luck. Strange. You say “some” - have you just tried one so far, or do they all do this? I have 3. Tried on all 3 now. Same behaviour. Do you see different values reported in the log when you move the magnet? It will take some time since the heartbeat is rather infrequent.